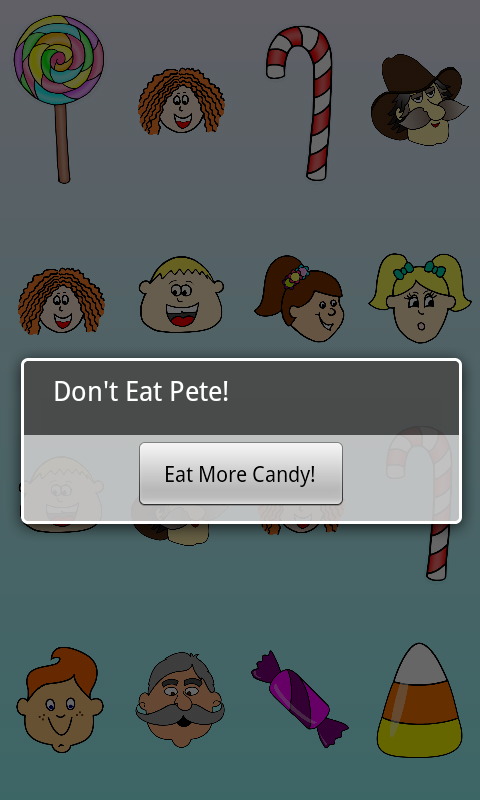 First Android App - Don't Eat Pete! Perfect for young kids, Don't Eat Pete is a simple yet fun family activity. For those of you unfamiliar with the game, you draw a grid on a piece of paper. In each square of the grid, you place a piece of candy. Someone is selected to leave the room while the other players select a grid to be "Pete." 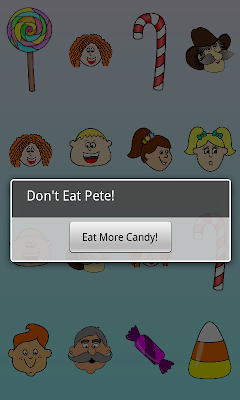 After returning, the player begins eating candy until they begin to eat the candy on the grid selected as "Pete." 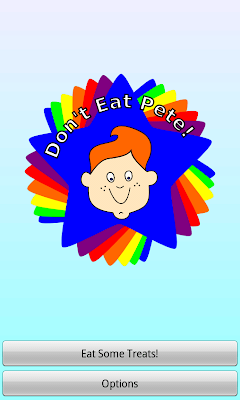 All other players must yell "Don't Eat Pete" in order to prevent "Pete" from being eaten! Don't Eat Pete! 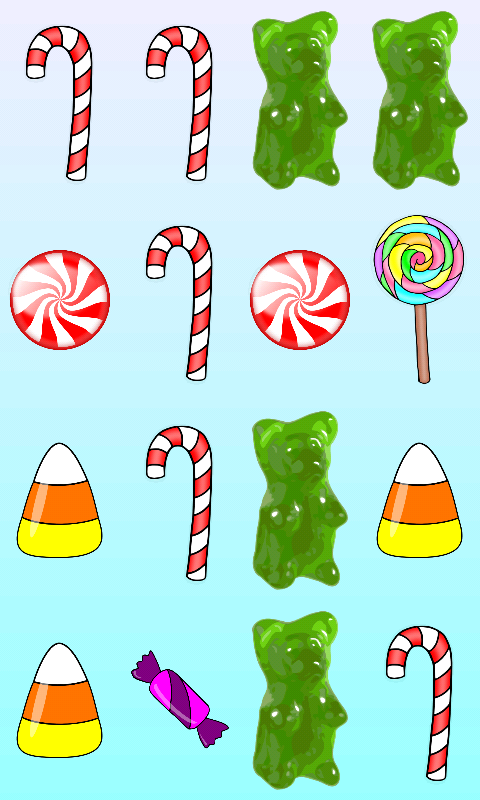 the app delivers all the fun of the regular game without the sugar. Simple game-play enables even young children can play and enjoy Don't Eat Pete. With the ability to control the playing grid size, the app randomly creates a grid with a hidden "Pete" square. 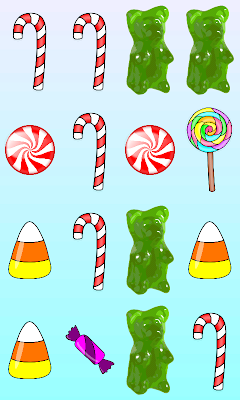 As the player eats candy, people appear underneath until the player tries to eat Pete!